Hello peeps!! Long time, no write. I have been continuing my dieting. Got a long ways to go but I will get there. Since it is Halloween I thought I would cook a Halloween Casserole. 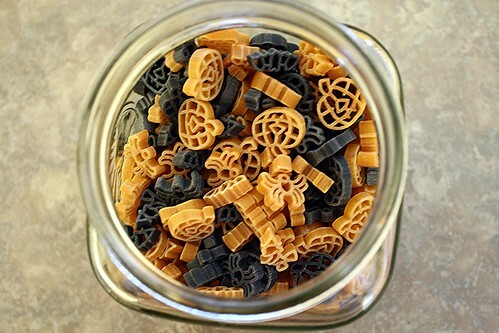 I found some of the cutest pasta shapes so I decided to use it in a casserole. I measured 2 cups of pasta into a pan of boiling water. I boiled it for 10 minutes, drained it and poured it into a greased baking dish. Then I cooked 1 pound of ground beef, drained it and added it to the pasta. 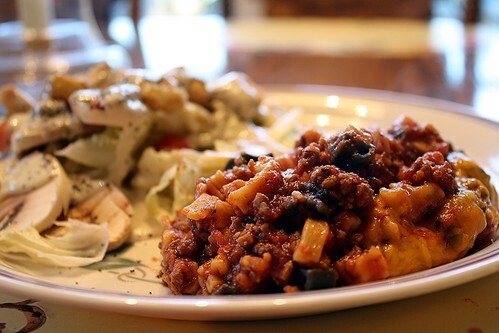 You could add Italian sausage instead of ground beef. Then I mixed in 2 cups of marinara sauce. I had some homemade sauce in the freezer but the canned marinara sauce would work just as well. I mixed everything up and put the baking dish in a 350 F oven for 30 minutes. 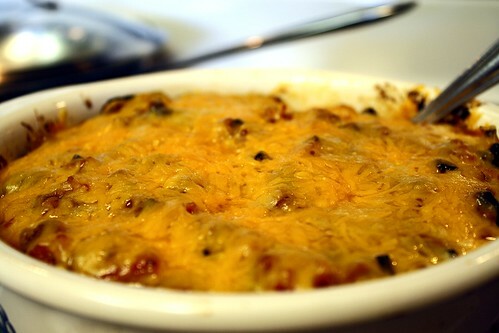 Then I put grated cheddar cheese on top and put it back in the oven for 5 minutes. You could also use mozzarella cheese. It turned out really good. Everyone seemed to like it. I served it up with a nice fresh green salad. Oh and don’t forget to sprinkle some Parmesan cheese on top too! Happy Halloween!! Posted on October 31, 2013 November 1, 2013 by cookingwithpizazzPosted in Beef, PastaTagged Beef, Food, Halloween, Pasta, Recipes. Next Next post: Oh Deer! !